SendGrid's marks include, but are not limited to, the SendGrid name, logo and any word, phrase, image or other designation that identifies the source or origin of any SendGrid products. Do not modify or alter the marquees or use them in any confusing way, including suggesting sponsorship or endorsement by SendGrid, or in a way that confuses SendGrid with another brand. 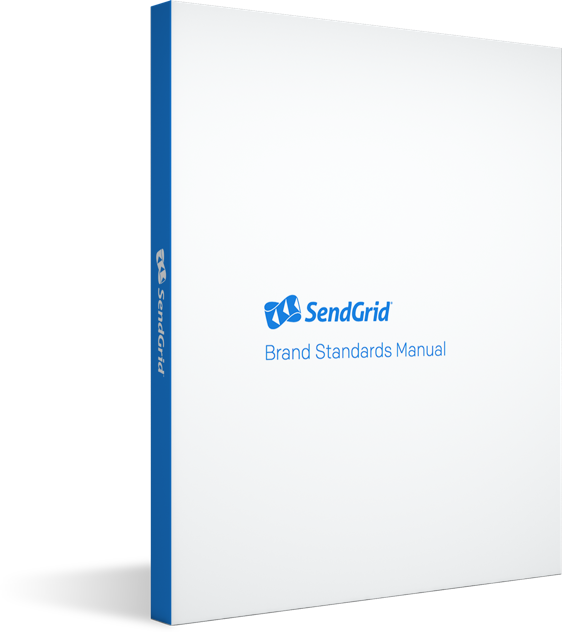 The corporate signature is the major visual symbol of the SendGrid brand and includes an intersecting grid symbol, the logo type (SendGrid), and a "registered" symbol (®). The logo type must always be written as SendGrid–with letters "S" and "G" capitalized; with "Send" and "Grid" conjoined. There are two versions of the SendGrid logo. Please use the blue version for all light backgrounds and the reversed version for all dark backgrounds.